Discussion in 'Currently broadcasting & New Lakorn' started by Katelyn, Jan 1, 2019. TV Scene post about the beginning of researching ancient civilizations. Ok girls, can you imagine Ji dressed like this? MKfan132, Xiongurl26, sampaguita and 7 others like this. I hope someone can explain the plot soon! sampaguita, onewlover4ever, DaoRisa and 3 others like this. sampaguita, xcinsationalx, onewlover4ever and 5 others like this. @baliw1119, onewlover4ever, S.J.M and 4 others like this. Xiongurl26, sampaguita, onewlover4ever and 5 others like this. @baliw1119, MKfan132, Xiongurl26 and 6 others like this. Xiongurl26, sampaguita, onewlover4ever and 3 others like this. I’m delighted for JT to reunite. I’m hopeful the channel will pair Taew up with new faces. Yes I’m waiting for Taew with Ken T, Grate, JMA, Pope and Toey! As an A-lister of this generation Taew already paired with plenty of big names. But she has a few more to go. @baliw1119, sampaguita, ivymoon and 4 others like this. sampaguita, onewlover4ever, Katelyn and 2 others like this. Lol for sure! We can’t do wrong with more JT! Hopefully it’s another good one with hot pranang chemistry! Yay I’m here! Calling out to the JT lovers. Come on girls! I will look into getting the synopsis!! 040156, Xiongurl26, onewlover4ever and 3 others like this. JT+TV Scene+another period. Ch3 producers have zero imagination. Oh yeah and I think the author is the same as Neung Dao. I sorta remember the news of this and Neung Dao coming around the same time, way before casting for Neung Dao so memory can be off. What I think I remember from summary is that it's 2 lifetimes. There's a mystery in the period times as to why the pranang died and the characters in the modern times eventually remember their past and add in some politics too. MKfan132, xcinsationalx, onewlover4ever and 4 others like this. @baliw1119, sampaguita, onewlover4ever and 1 other person like this. Seems like romance isn’t the focus of this lakorn either. sampaguita, onewlover4ever, PrincessKarina and 2 others like this. sampaguita, Cupid Candy, onewlover4ever and 4 others like this. Nadya, sampaguita, roselovesice and 4 others like this. Wow! Thanks for the update my dear so if we are lucky Ji might be shirtless in most scenes for the Lakorn no wonder he has been working out hard at the gym the last few months the Lakorn actually look very interesting .. 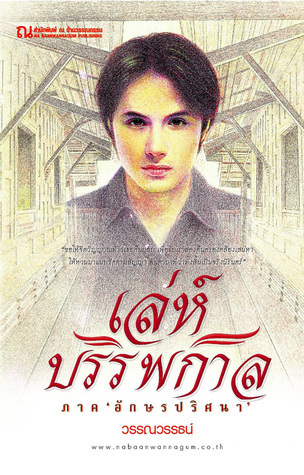 I like these type of ancient Lakorn, just hoping politics isn’t the main focus . is there an evil character here? Great??? When did they say that? onewlover4ever and PrincessKarina like this. What?! Hope not because if Taew and Grate are in a lakorn they have to pair up! Lol but no there’s JJ too. This better not stress us out! @baliw1119, sampaguita, KitKat516 and 2 others like this.